* This course focuses on the Zynq-7000 All Programmable SoC. Check with your local Authorized Training Provider for the specifics of the in-class lab board or other customizations. Lab 1: Building a Zynq All Programmable SoC PlatformExamine the process of using the Vivado IP Integrator tool to create a simple processing system. 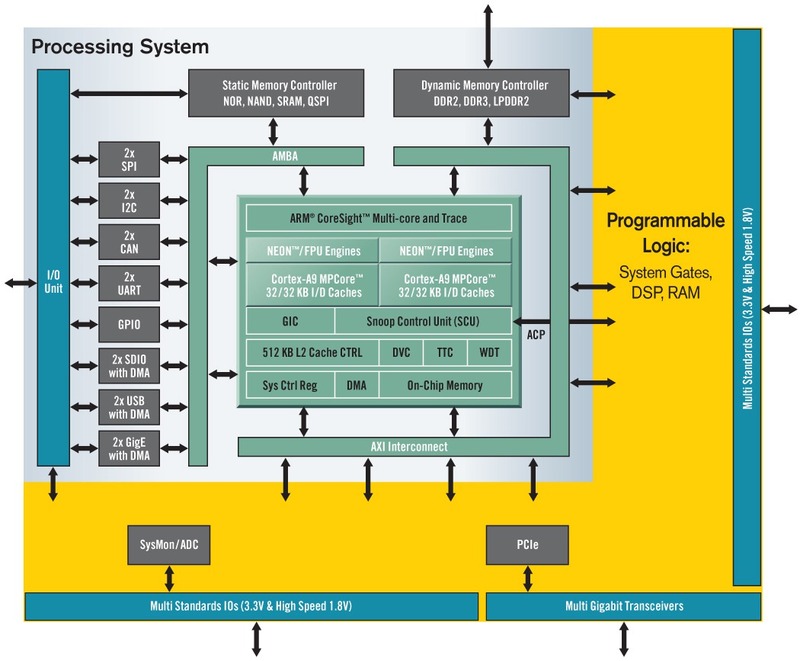 Lab 2: Integrating Programmable Logic on the Zynq All Programmable SoCConnect a programmable logic (PL) design to the embedded processing system (PS). Lab 3: Using DMA on the Zynq All Programmable SoCExperiment with effectively using the PS DMA controller to move data between DDRx memory and a custom PL peripheral. Lab 4: Impact of Port Selection on System PerformanceExplore bandwidth issues surrounding the use of the Accelerator Coherency Port (ACP) and the High Performance (HP) ports. Lab 5: Debugging on the All Programmable SoCEvaluate debugging the hardware and software components of a Zynq All Programmable SoC design. Lab 6: Running and Debugging a Linux Application on the Zynq All Programmable SoCExplore a software application executing under the Linux operating system on the Zynq All Programmable SoC. 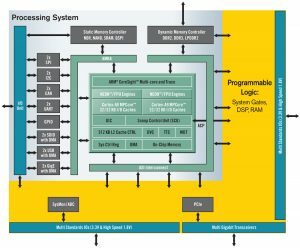 Lab 3: Using DMA on the Zynq All Programmable SoC – Experiment with effectively using the PS DMA controller to move data between DDRx memory and a custom PL peripheral. Lab 4: Impact of Port Selection on System Performance – Explore bandwidth issues surrounding the use of the Accelerator Coherency Port (ACP) and the High Performance (HP) ports. Lab 5: Debugging on the Zynq All Programmable SoC – Evaluate debugging the hardware and software components of a Zynq All Programmable SoC design. Lab 6: Running and Debugging a Linux Application on the Zynq All Programmable SoC – Explore a software application executing under the Linux operating system on the Zynq All Programmable SoC.